Swiss watches are among the best known in the international scene of fine watchmaking, partly for their construction quality, a bit for the prestigious brands that have made the history of watchmaking, so it is a mix of savoir faire and quality, making them the most sought-after watches in the world. If you’re here, then, it’s because Swiss watches fascinate you too or you want to have one on your wrist so you can admire the incredible craftsmanship with which these timepieces are made, that’s why we’ve compiled the list of the best Swiss watches to buy. inside which you will find only the best wrist watches on the market. 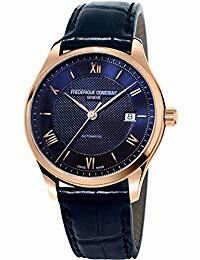 Frederique Constant is a Swiss company based in Plan-les-Ouates, Geneva. As you may know, it was recently bought by the Citizen watches group. Regarding the model you see above as well as belonging to a prestigious Swiss luxury watch brand founded in 1988, it is also a watch that incorporates the most modern technological features while maintaining a design with a classic and refined taste in the twentieth century style. 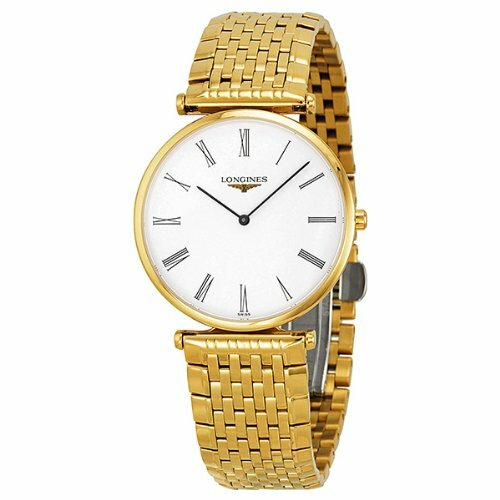 This Swiss watch is suitable for men and gentlemen who possess an elegant style, a taste a little retro or classic, it would be wasted on someone else’s wrist. 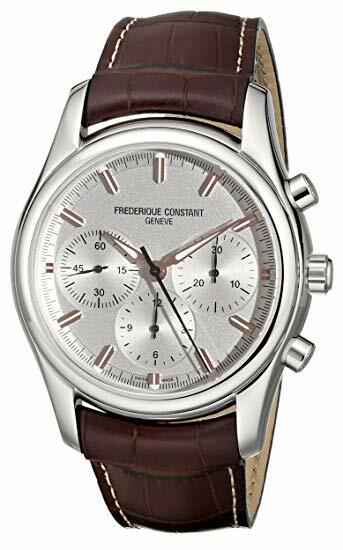 Among the Frederique Constant’s swiss watches, this is one of the models that we liked best for their aesthetic simplicity. It is an automatic wristwatch in limited production, it differs from the model we have seen previously from the absence of Roman numerals and from the presence instead of three spheres for a perfect time management. 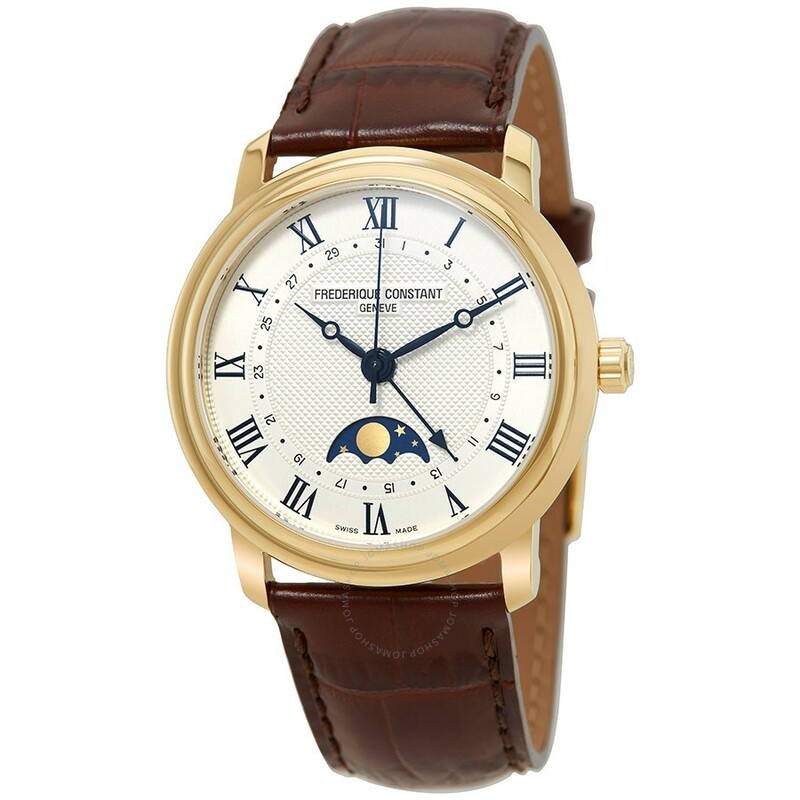 We close with the Swiss watches signed Frederique Constant with this model. From the night blue color and the gold finish this wrist watch is very elegant, does not detach much from what is the classic line of the house, much appreciated are the texture and the strap, the price among other things is lower respect the previous specimens. Naturally speaking of Swiss watches, we have to include some of the most prestigious models of Baume & Mercier, a brand founded in Geneva in 1830 and specialized in luxury watches today belonging to the Richemont Group together with Cartier and Piaget. 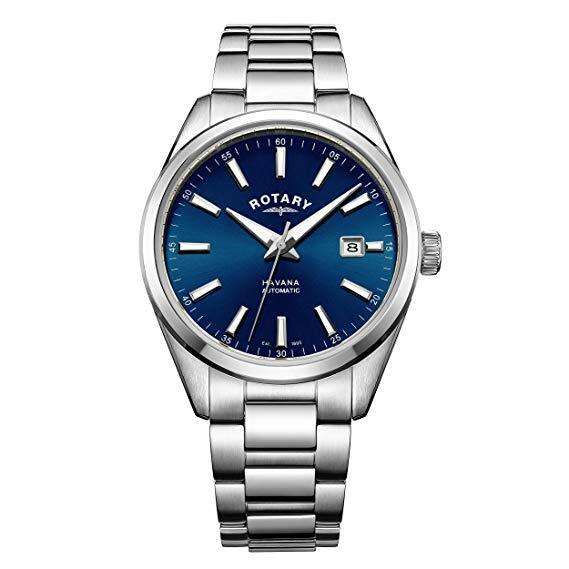 In particular this model of wristwatch is characterized by a very solid stainless steel texture, a 44mm case and a beautiful blue color on the dial. What we like about this watch are the details and the very advanced features, about the design is very sporty and suitable for a casual look, obviously a piece like that can very well be worn even in a jacket and tie without problems. What you see in the picture is a Swiss watch that can not be missing in your collection, (If you are rich at least), in fact this wrist watch by Baume & Mercier is almost a symbol for the manufacturer beeing the best-selling specimen between the above mentioned ones, all the one is much in keeping with the classic tradition of the brand. A small note we want to do on the dial, from where you can admire the engineering through which this jewel of craftsmanship comes into operation. 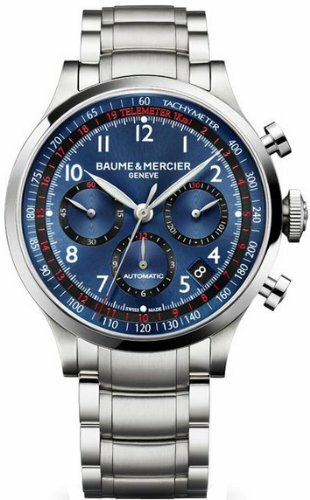 With this model we close with the most beautiful Swiss watches from Baume & Mercier. In particular this is a wristwatch much appreciated by businessmen, we know the rich people are often eccentric, so this model follows this way of being and thinking and it has a very high market price and a square instead of round case. 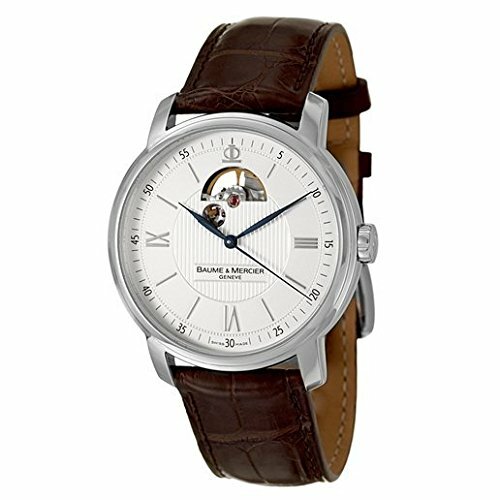 Maurice Lacroix is an historical name of Swiss high-end watchmaking, the company was founded in 1889 although the first models under the name of Maurice Lacroix were only put on sale in 1975, since then the company has positioned itself on the international market with an ever-increasing strength to become what it is today. The model that we see in the picture is a Swiss watch whose precision does not need comments, its design is spatial, there are no other terms to define it, the most cutting-edge engineering, a true example of knowledge that only a few companies of luxury watches possess today. Among the Swiss watches listed above this is the one halfway between elegant and sporty, Maurice Lacroix is in fact not solid to produce classic models, his style as you see from these two specimens is more broad-minded, attentive to tradition but with a vision more extensive than the future and therefore a greater opening to progress. Zenith is a Swiss brand founded in 1865 by Georges Favre-Jacot, in Le Locle, in the Canton of Neuchâtel, became famous with the exploit of the aviator Louis Blériot, who became the promoter of the brand, becoming the leading manufacturer of French military aeronautical clocks, later obtained a remarkable success in the international market like other Swiss watch brands, today belongs to the famous French group LVMH. The Swiss watch you see in the picture is therefore a pure example of experience and quality mixed with a unique and breathtaking design, the high price is the result of a solid brand behind that has nothing to envy to other brands of Swiss watches. 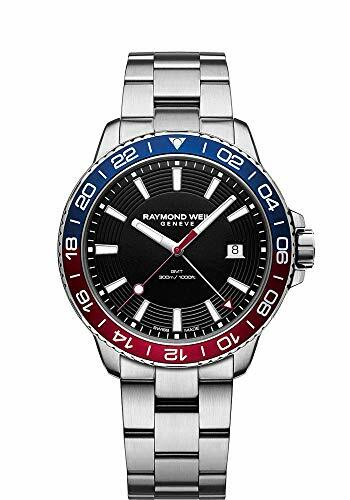 Raymond Weil is another Swiss brand of considerable importance in the international luxury watches scene. 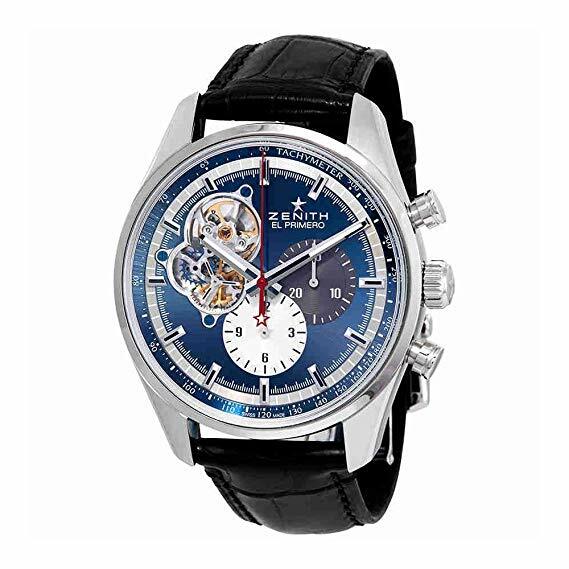 Its models are designed to end up in the hands of rich and classy people, prices are justified by the excellent quality typical of the Swiss manufacture, The brand was founded in Geneva in 1976. The wrist watch you see in the picture presents a fresh, contemporary and good design, we really appreciate the details of this luxury timepiece with a sporty tone. Among the Swiss luxury watches, another model that you will surely love is Mido, a luxury watch manufacturer founded in Switzerland in 1918 by Georges Schaeren, now based in Le Locle. Mido comes from the Spanish in which “Yo Mido” means I measure. 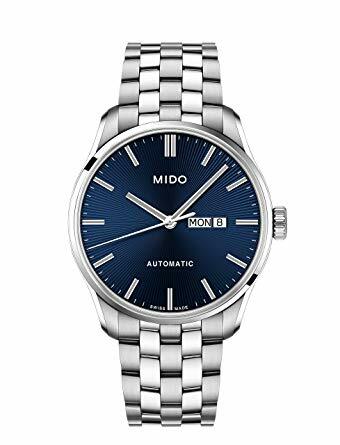 Returning rather to the Mido watch of the photo, it must be said that it is a very elegant timepiece despite having a steel strap, in addition the blue dial is a feature that enhances the details. 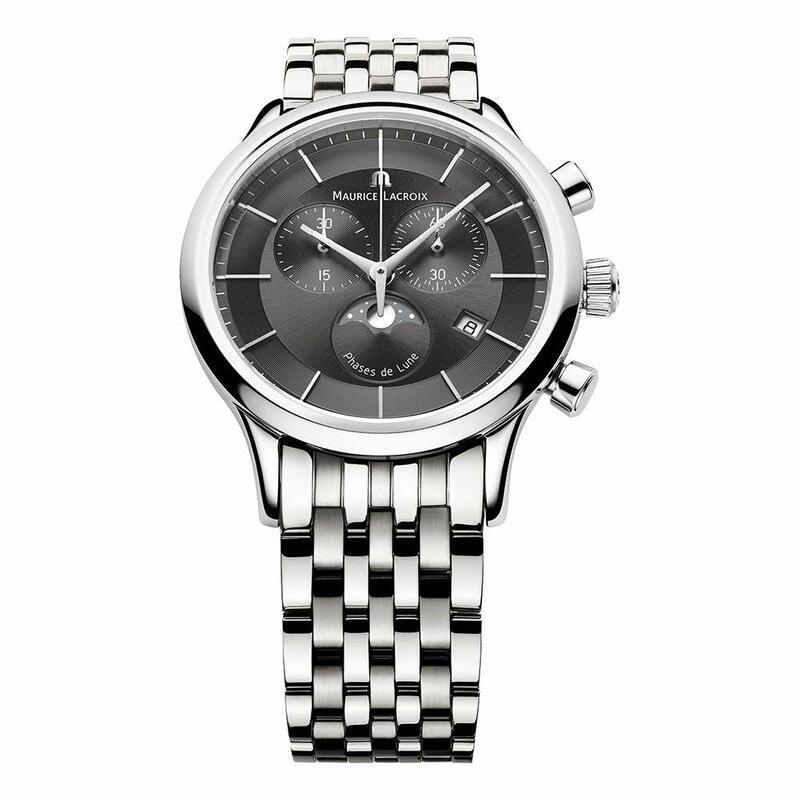 Longines is a Swiss company today belonging to the swatch group that produces luxury watches. The company was founded in 1832 by Auguste Agassiz with the name of Agassiz & Compagnie, only in 1866 assumed its current name. This model among the Swiss watches is one of the most appreciated of the manufacturer, its main feature is to have a strap all in gold, there are Roman numerals and is very simple. 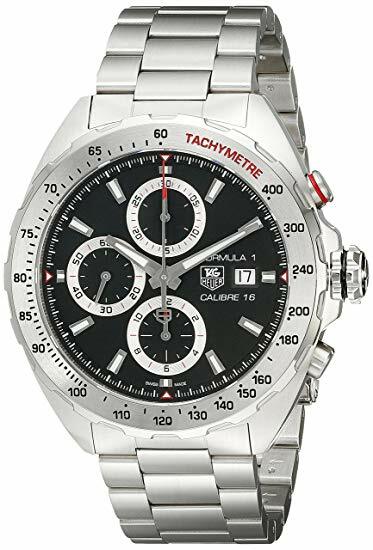 Tag heuer is also a Swiss historical company in the field of luxury Swiss watches, its presence dates back to 1860 then even before the formation of the Italian republic, now belonging to the French group perhaps the most powerful of the world LVMH. As you can see, his pieces are linked to the progress and engineering of recent years, the design of the watch you see in the picture is sporty and it possess multiple characteristics, a true piece of the future. 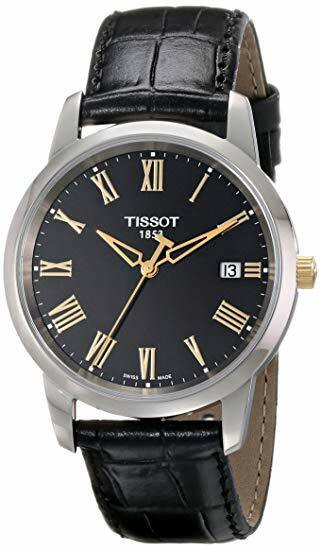 Another brand that we all know is important on the international scene of Swiss watches is Tissot, founded in 1853 by Charles-Félicien Tissot and now acquired by the Swatch Group. 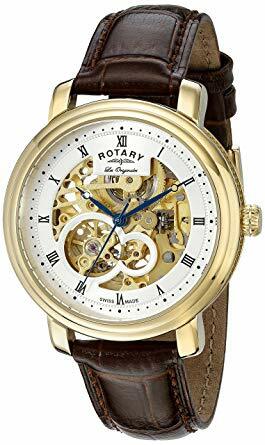 This watch is linked to tradition, in fact we find a very beautiful dark leather strap, thin hands and Roman numerals, so the style is very classic, so it will be highly appreciated by those who love this style, the price of this Swiss watch is very economic considering the quality and the brand. 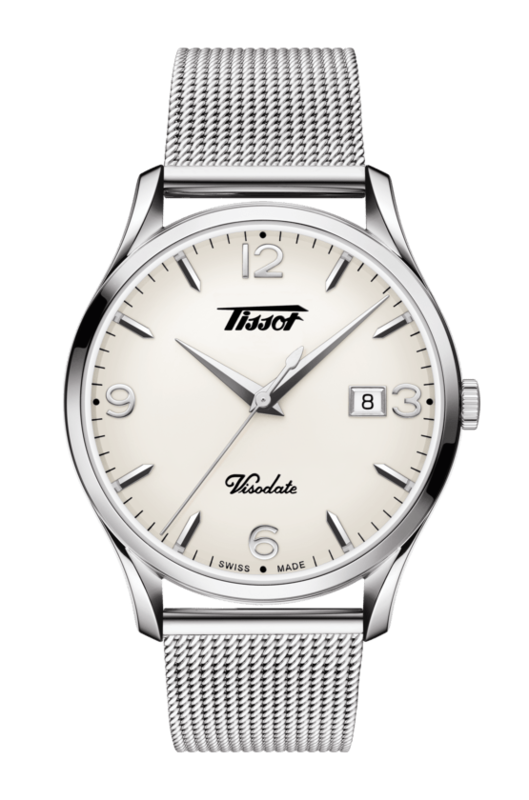 Among the cheap Swiss watches from the Tissot house we could not omit this watch on the list. From the classic style it differs from the previous model for the dial and the black strap that we like a lot. Another spectacular example of quality and aesthetic beauty of the Tissot house is represented by this model of wristwatch you see in the picture. 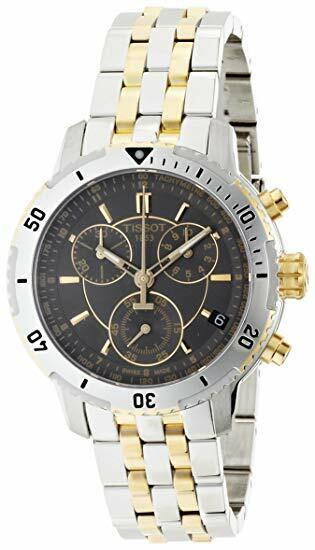 The aesthetic is breathtaking, super sporty but with its softer features, it has a steel case and strap with gold inserts, and three spheres from which it is possible to have different readings of the time. 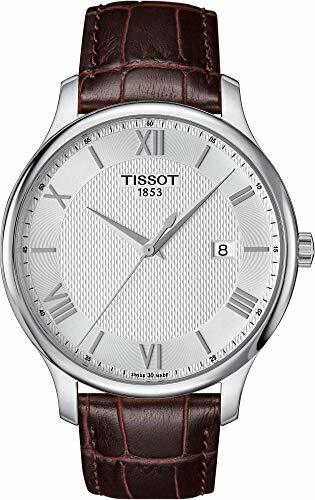 We already talked about the Tissot house, but the model shown here is very interesting, from the round lines, it is a fashionable and cool model especially for young people, the price is cheap to be part of Swiss watches so the quality is excellent being just swiss made. Among the Swiss economic watches, this Rotary Jura is certainly one of the most beautiful, as it encompasses a classic style mixed with the latest engineering. From the dial of this fantastic Swiss watch you can see the automatic mechanism that makes it a real top-of-the-range watch. 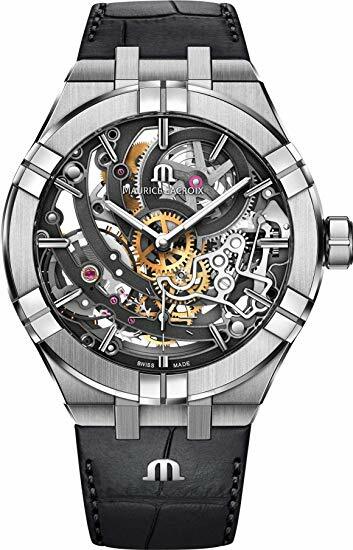 What you see in the picture is another Rotary watch that we had to insert absolutely in this list of the best Swiss watches to buy. 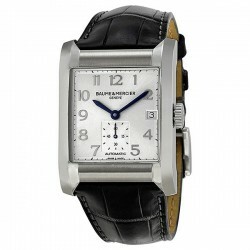 In fact, this Swiss timepiece is very interesting for the really low price despite being a high quality Swiss watch. 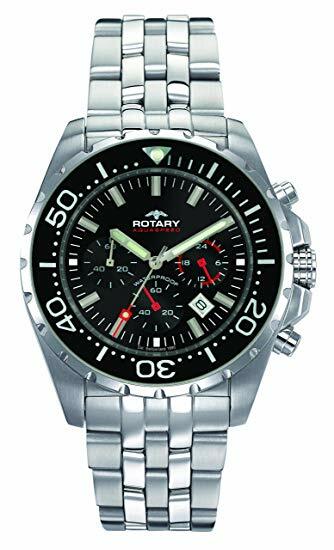 Finally, we close this ranking with this Swiss Rotary watch, by far the most economical timepiece made in swiss among those listed so far, the look is modern and super sporty, really a quality product in relation to an almost insignificant price for anyone, despite this the watch is very precise and reliable in any situation. Thanks for being with us with this article about the best Swiss mens watches to buy, if you found it interesting share it with your friends through the social buttons that you find below and leave a like to our FB page to stay updated with news and trends from the world of fashion and lifestyle, see you soon!